Walking is a great form of exercise. Just about everyone can do it. It does not take much gear other than the right clothes and right athletic shoes. You can do it indoors – however I much prefer being outdoors. One can listen to music or hear the birds, wind, and waves. One can excite all the senses as you see, hear, touch, smell and even taste your surroundings. Set your own pace and go! Some days may be a fast pace, other days slower. Mix it up. Some days go up hill, go down hill, just do it. I prefer walking on the sand beaches or trails in our neighborhood- however sidewalks work just as well. The important thing is to do it – and ideally every day. Invigorating! It is also a great time to devote to reflection and renewal. Your walk can become your Walking Meditation. Set an intention. This is your time. Yes – if outdoors, be aware of crosswalks, lights, traffic and other pedestrians. And be aware of all your thoughts and feelings. A long time friend of my husband’s and now mine, shared the following with me regarding his daily walk. I want to acknowledge Michael for sharing his daily ritual with me and now you. And congratulations to Michael for celebrating his 80th birthday recently! What I loved about his sharing was how he utilized the 8 minutes to center and focus himself for his workout. He prepared. He got himself in the right mental state to then maximize his exercise program. Next time you find yourself in a walking mode, how will you use the time? Last night I cracked open 2 eggs for dinner. And to my surprise, both eggs had double yolks! When I get a double yolk which I do from time to time, I get excited. I see it as a sign of Good Luck and Prosperity. However in looking up its significance, especially since I had never cracked 2 at the same time, I found several other possible meanings. The first was someone or you were going to have twins. Well that’s out having turned 65 last year! And no one that I know as of this moment is pregnant. Then the 2nd meaning was a family member was ready to die. I took a moment to pray for everyone and wish them good health. At present, all appear to be doing well. And perhaps the meaning of dying was not in the physical form. It could be regarding someone’s old beliefs and patterns no longer serving them. I intend to focus on the most positive and uplifting message of having Good Luck and Prosperity. I thanked the Universe for the blessing of the double yolks and their significance. I know I have a choice in what I believe. You do too! Every moment we create our Life. What are you choosing to believe, dream, create, accomplish, fulfill? What drives you? What energizes you? What motivates you? Sure there are outside influences that could present detours along the way. However you are powerful enough, strong enough, wise enough, and determined enough to make it happen the way you want. We have the ability to shift our thinking to what serves us best. Not what others think, but what we think. 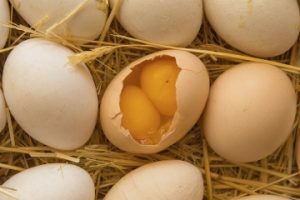 So the next time you crack open your eggs and get a double yolk or 2, Think Good Luck, Prosperity, and the Limitless Possibilities. So what do I do with my 2 cameras. I decide to enter into the world of online selling. I am excited to offer items in great condition for others to enjoy. Some questions: What site, What price, What pictures, How descriptive, How to pack, Do I offer Free Shipping? Into research mode I go! I decide on a site, I read through the how to’s, I create a draft version of my listing and I revise a few times before I actually hit the list button. Excited and Nervous. Within a few hours I receive multiple offers – and over asking price. Wow! However, soon to discover that some of the buyers are suspect and I learn how better to vet them. Lesson learned. The team at the resale site were incredibly helpful to resolve the fraud. Now I am back up with the cameras. Learning as I go along. Doing my due diligence and being careful on choosing the best buyer. I have learned many lessons during this experience. I almost gave up when the 1st outcome was not positive, however I decided not to throw the chess board up in the air! (I did that once during my teens when I was outmaneuvered). Not the best behavior or approach. Check lesson learned – If at first you don’t succeed, try, try, again. So that is what I did. That is what I suggest you also continue to do. Master your craft. Make the mistakes. Take the detour. Turn right not left. Or make the U Turn. It is only through experiencing, making mistakes, learning the lessons, that you can then move forward. I call it the dance of life. Yes, I have stepped on toes and have gotten stepped on as well. But I recover. Laugh it off. And go on. To your Life full of learnings, lessons, and experiences. I have to admit I was kind of hibernating, especially early mornings and after sunset.! In California? Yes in Sunny Southern California. I have lived on the West Coast now for over 40 years. However I do not remember as cold, or rainy, or windy as this past season. Granted, living at the beach for the last 6 years is a different cold than from Pasadena. The damp cold is for me a bit more chilling – refreshing yes, but still I feel it more. Even with that said, I would not live anywhere else! So layered looks are my favorite, from silk turtleneck base layers under heavy sweaters to polartec, scarves, headbands, gloves and puffer vests. Bring it on! Spring though is beginning to radiate through! We are starting to thaw out now as the sun shines brightly and the sky is blue with just a few puffy clouds. Love it! 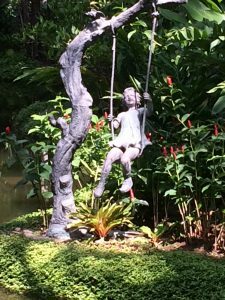 I get inspired and energized to spend more time outdoors – especially in the gardens that I have neglected. What will I find? Spring cleaning is a term used I recall mostly for sprucing up the home – clearing out closets, updating the color palette, lightening the comforters and blankets, bringing in more color and refreshing the space with new home fragrances, flowers and plants. I also use the term for outside landscaping to bring in more color, switch out some of the plants that did not make it through the heavy rains and cold. Refresh and Renew. Another way to use the Spring Cleaning term is to go within oneself. Identify the thoughts that no longer serve you. Look at your rhythms and routines and make the appropriate adjustments. Are you spending enough time in Self Reflection? Are you reading articles, books or magazines that inspire and keep you in a positive state of mind? Look at what is working, what needs to improve, what you want to have happen. Are you setting intentions for your goals, desires and dreams? What experiences do you want to have? What sights do you want to see? What countries or cities do you want to explore? Look at your fitness and exercise activities – are you satisfied with what and how you are doing? How do you feel? What about your nutrition? Are you fueling your body with nutrient rich vegetables, fruits, and the right proteins, carbs, fiber and fats? Are you satisfied with your weight and your physical form? What keeps you busy? Are you involved in meaningful projects that keep you challenged, motivated and inspired? Or do you veg out on social media, streaming, or video games? Spring into Action! Let the new season motivate you to Do what is good for You. Visualize, make an action plan, commit and then take Action. And remember to have Fun! On Friday, I celebrated 14 years cancer free. A day does not go by that I do not give thanks for being alive. I am forever grateful and thankful that I am blessed to continue experiencing Life. Not everyone does. Every year I continue to send a card to my incredible doctors thanking them for their contribution to my Life – Dr. Lynda Roman, Dr. Stuart Garber, Dr. Grace Bautista. Without them, I would not be here today. Why does it take a jolting experience, so often an illness or some type of physical, mental, or emotional condition, to make us realize what a gift Life is? And when we are given another chance, more time to Live Life, it is the perfect opportunity to review how we live, how we think, how we act, who we engage with, what we do, and don’t do! Priorities shift. Preferences are reviewed. Adjustments made. We reconsider what is really important. I thought I was living a healthy lifestyle through my choices – right thinking, right eating, exercise, Loving relationship, successful career, good friends. When I was diagnosed, I did not dwell on “Why Me.” (Well, maybe for a very brief moment) I knew deep down that would not help me get through it. I continued to remain positive, committed to Living because I wanted to. And for those that know me, you know I am determined to find the way – fix the problem, find the solution. That is who I am. However, I needed to Reflect, Renew, Refresh! Just like my journal title so clearly states. 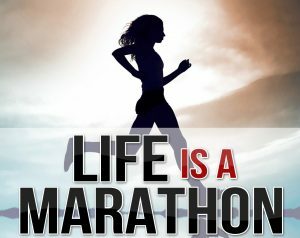 After my successful surgery, I recommitted myself to healthy foods and nutrition, running, yoga, time for me. I recommitted to spending more time with my husband and enjoying our adventures, experiences and pleasure in each other’s company. I recommitted to balancing work life and personal life. I continued to focus on positivity, optimism, the power of the mind. I watched what I read, what I listened to. I ensured that our home was a sanctuary of peace and Love. Every room has reminders of Love, Life, Peace and Harmony with sculptures, paintings, photos of us on our travels, books of our spiritual and Life coaches and so many treasures that bring Joy. Every day I affirm Life. Before I even get out of bed in the morning, I recite my affirmations. Throughout my runs, I give thanks, and before I fall asleep, I give thanks and appreciation for another day to Live my Life. I encourage you if you are going through a rough time, if you are facing a challenge, affirm what you desire. Stay positive, stay committed, do what you need to do to bring the right outcome. Surround yourself in Self Love and Acceptance. Surround yourself with Joy. Take the time to Reflect, Renew, Refresh your thinking and being. Embrace your life. Be appreciative and grateful. I have truly believed that both in my personal and professional life. However sometimes we associate pace with more speed. I realize that there are times when I need to slow down for awhile, other times I need to pick up the pace. What determines the change? It could be an internal feeling or an external influence. Do I always take note of it and make the adjustment? No I do not. However I am learning that for peak performance, it is important to acknowledge the conditions and make the appropriate changes- whether to speed up, slow down, or even be still. And for me, peak performance is not always the fastest or the first. It is accomplishment set according to my values, priorities, preferences and goals. Mine – not anyone else’s. Listen! Take a moment to reflect on what is really happening. How do you feel? How does your body feel? Are you stressed, enthused, happy, sad, confused, uplifted, motivated or tired? So many variables to look at. What are the external conditions? Is it cold, hot, humid, dry, windy, sunny, raining, snowing? Is there a traffic jam, a canceled flight, a road closure, rough seas? Or is it clear sailing, great hiking trails, wide beaches, no delays, no red lights? Is it morning, noon or night? How do you adjust to all the conditions around you and inside of you? You do what is best for you! 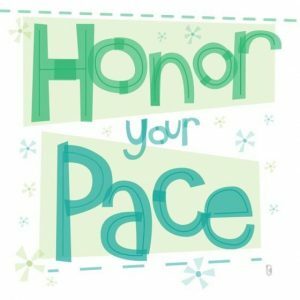 Set the pace for you! Do what feels right for you. Of course, take into account everything, then make your decision. For you! For now. And remember that it will change. And that is okay. Be flexible and adapt accordingly. And Love yourself throughout all the various paces of your Life. We are all faced with how much control is the right amount to achieve our goals. We are driven to succeed. We want everything to be perfect. We oversee every detail to ensure it is so. 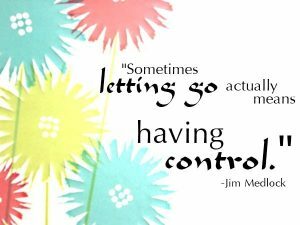 However, sometimes we need to just “Let Go.” Let the process continue with our guidance. Once we have put in the work, we should be able to release and allow for the completion. Do you? Do I? Sometimes not. I am continuing to learn that to be truly successful, we need to step back and allow. Let the project unfold the way it is suppose to. Which is not always the way we thought. When we realize that, we have an urgent tendency to FIx It. Breathe! Listen! Calm yourself! Detach! The answer will come to you. And at that point you know that “Letting Go” is key. I have found that to be Flexible and Flowing, Adaptable and Adjustable, serve me well. Especially when you really do not control anything. There are situations that come up – totally beyond our control that if we try to “Fix”, we become angry, frustrated, stressed and overwhelmed. I believe structure, strategies, plans and roadmaps are important as the starting point. They are tools. And we have control to make the appropriate revisions, adjustments and tweeks as necessary. And that is perfectly okay! In fact it is more okay than following the plan just because it is the plan that has become irrelevant. So, think things out. Write them down. But remember, you can delete, erase, change the color, change the size, start over! You get to choose. That is where your control lies. Let us always remember how powerful our attitude is, and to take a positive attitude into whatever is unfolding. I consciously choose to use the word opportunity versus problem when they arise. It is a subtle but powerful method that shifts my thinking. How do you see and interpret apparent problems? How we view things forms our responses, directs our actions, and determines the outcome. We need to set the right intention to achieve the right outcome. Things do not just happen. Somewhere in our consciousness or subconsciousness we had the thinking that determined the result. We really cannot blame anyone else. We all do though, don’t we. Not every time, but sometimes. It takes practice, commitment, consistency, and determination to accept our responsibility. Once we do that, all is possible. We change. We overcome. We thrive and prosper. It is not that we only see the positive, only see the rainbow, only see one side. We take in all. However we decide how we want to continue. 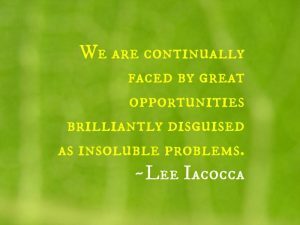 By seeing the opportunity in the problem, we create space for new thinking, new solutions, new ways of being and doing. The haze or fog gets lifted. We see things that we were unable to see before. We step out of our comfort zone and experiment. We are inspired and motivated to “Fix It”. We know we can do it, even if others do not. So what? Let them be who they are. Do not let them deter you from succeeding. You can do it. We all can. If we but shift our thinking and set our intention. Here’s to your seeing the Opportunity in the Problem. Several years ago my husband and I were embarking on our move to San Francisco from Pasadena. Our house sold in record time! (3 days) We were undecided on which area of SF to move to. I was thinking about the areas around Golden Gate Park and the Outer Sunset neighborhoods. However we really didn’t know. And I needed to consider my commute downtown. So we thought we would take out a month to month short term lease on an apartment, search the neighborhoods during my month off between positions, and then move into our perfect right place. Due to limited time, I needed to sign for an executive apartment on Nob Hill sight unseen!!!!! My only info came off the internet. To say I was nervous and had reservations puts it mildly. I almost flew up to see the place. Then I was given a message that sealed the deal. 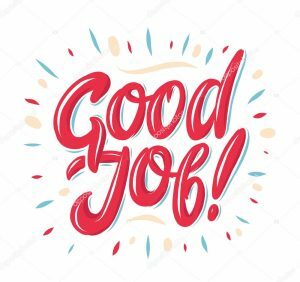 I was turning in my phone and computer to the company I was retiring from, and while on the phone with the IT gal working through the process, she said to me – Karen, just continue trusting!!!!! WOW! What a relevant message not only to what we were working on – but to my situation on taking the apartment sight unseen. Of course, one must do their due diligence, research, and fact finding. And sure enough, sight unseen, we ventured up to our temporary apartment which was wonderful. From there we were able to daily scout the neighborhoods and decide where would be the best location to settle into life in SF. The neighborhoods around Gold Gate Park and the Avenues were too foggy and too far of a commute. We loved the Nob Hill, Pacific Heights areas as well as the Presidio and Marina. We found our perfect place diagonally across from our temp place on Nob Hill!!!!! It was the ideal location, good floorplan, great view, reasonable walking commute to the office. It served us well for the time in SF. 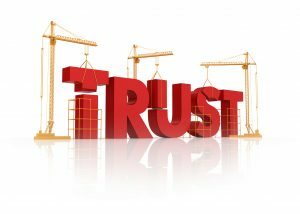 Since that time, when I am faced with indecision, skepticism, or doubt, I hear the words – Continue trusting! Sound advice for all of us.